Well known Japanese music producer Tetsuya Komura, who is also a part or PANDORA, who produced the opening them song for Kamen Rider Build has announced that he will be retiring from the music industry due to a scandal that he is involved. According to an article written by the Japanese magazine Weekly Bunshu, Komuro was having an affair with a nurse in which they were spotted by one of their (Weekly Bunshu) journalist leaving the nurse's home last December 2017 and was again spotted leaving a hotel last January 5th. 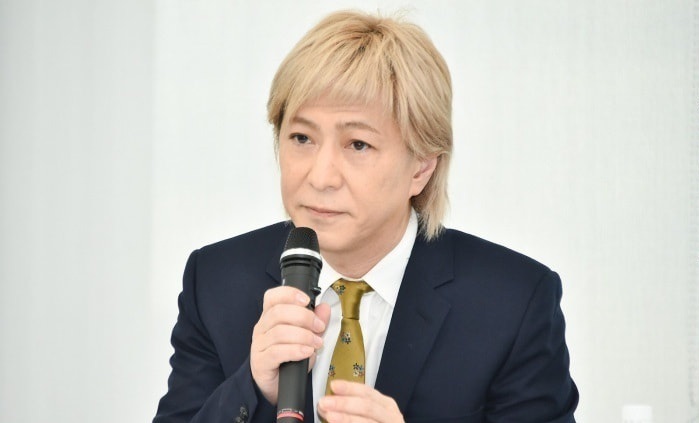 From Komuro's statement, he met the nurse during his treatment of Hepatitis C in which he was suffering from 2013. He also revealed that he was suffering from Tinnitus and told the press that he is now retiring from the music industry. The status of many of his projects are currently unknown specially his attendance in the upcoming Chou Eiyusai Kamen Rider X Super Sentai 2018 event and also PANDORA's mini-album. The scandal is because he's dating someone? Are both - him and the nurse - single? That's Japan for you. I shouldn't be surprised by now, but those things still shock me. @Spider-Phoenix By contrast, when people in the West are caught in scandal, not only do they keep their positions, they shamelessly try running for higher office. The scandal is because he is being unfaithful to his significant other, probably his wife. The word “affair” usually means cheating in the context of a scandal. Perhaps if you had read properly, you’d have known that it was this, and not some kind of cultural oddity. That’s people for you. I shouldn’t be surprised by now, but those things still shock me. @Spider-Phoenix - Well, maybe not the nurse. Who knows? Oh well, he's been around for long. Like they said, you either die as a hero or live long enough to see yourself become a villain. well damn now the only two song we will ever get is "Be the One" and "Proud of You"
Not dating, having an affair with. According to google, he's married to another singer and has been for 15 years. Nah - Jefusion's article is poorly written and missed the main reason why this incident was viewed so poorly by the Japanese public - he's a married man who's wife had a stroke in 2011.